Jamie Cunningham moved to Los Angeles in the fall of 2011, but his hometown of Syracuse is never too far from his mind. Cunningham went west to attend the Guitar Performance program at the Musician’s Institute. 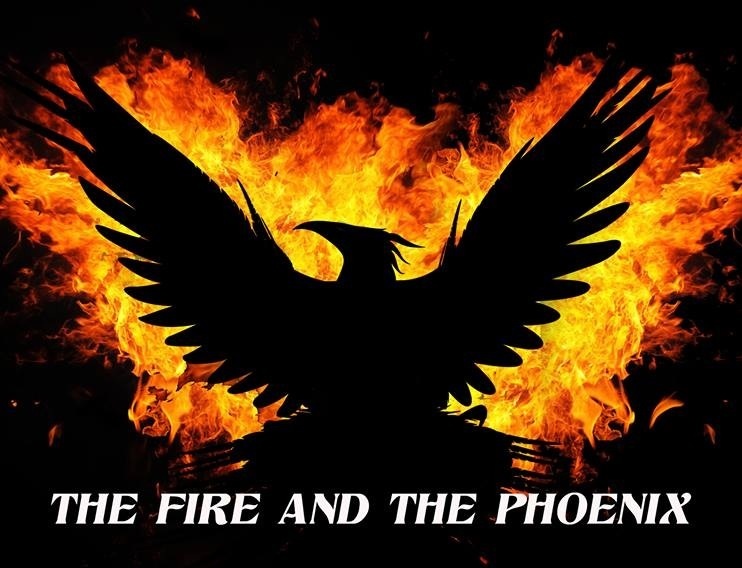 And he met some like-minded players to start the band The Fire & The Phoenix. Cunningham writes the songs, plays lead guitar and sings. He’s joined by Max Fitelson on guitars, from Seattle; Alec Ogg on keyboard, from Memphis; KC Miller on drums, from Riverside, Calif.; and Evan Pitonzo on bass. Pitonzo also is from Syracuse, and he’ll attend the Musician’s Institute this fall. Sound engineer Daniel Blanck also is an LA transplant from Syracuse. Blanck and Cunningham became friends because they discovered they were two Syracusans living two blocks away from each other off Hollywood Boulevard. “When I say that and people look confused, I elaborate by saying that it has the distortion and punch of rock ‘n’ roll, but the songs are crafted with pop structures and catchy hooks and melodies. It’s rock music that everyone can identify with,” Cunningham reports. The passion will be on display in a LA music showcase Cunningham is calling “Ignite: The Show.” The band has booked a 99-seat theater and hired a film crew to produce a DVD as well as a sound engineer to craft a multi-track live album. Cunningham has started a kickstarter.com campaign to raise funds. The goal is $3,000. Cunningham uses the the four-quarter system at the Musicians Institute to travel back home to Syracuse every three months. While attending Liverpool High School, he played in the band The Rest of Us, with Justin Costello. He also recorded an EP, “The Early Life,” with Jeremy Johnston producing at Subcat Music Studios in Armory Square, which they finished three days before Cunningham moved to LA. He goes back to Subcat to lay down one track with Johnston every trip back home. “Going back to Syracuse to record always gives me a great sense of perspective and makes me appreciate my musical roots so much more,” Cunningham says. The LA scene is rich with possibility, he says. “When you walk around on the streets out here, you become aware of the fact that this is the place where all the magic happens and this is the place where stars live and breathe,” Cunningham says. Cunningham’s brother, Travis, also has moved to LA and is working to promote the upcoming show, and Syracusan Navzad Dabu took to LA for the summer to shoot video footage for a documentary about the making of the concert. When Cunningham released “The Early Life,” he recalls Travis telling him the product was perfect for that point of his life.